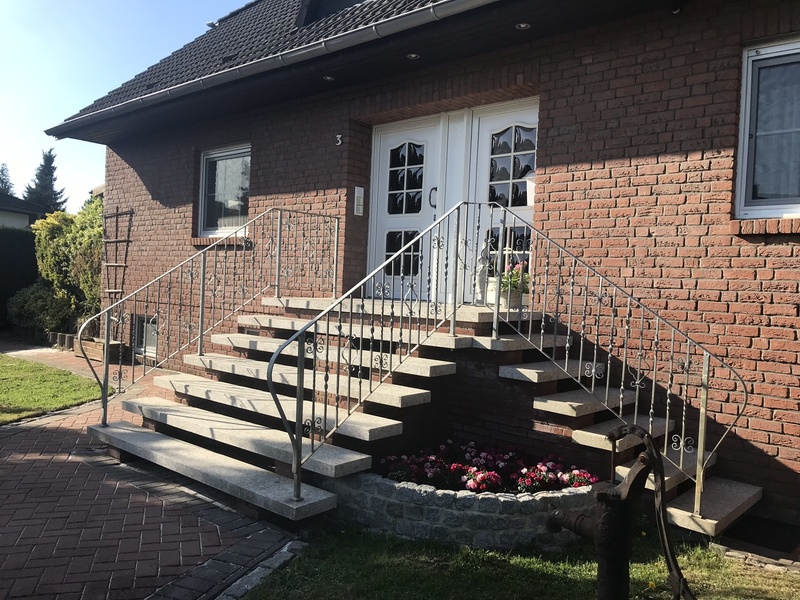 Typical red brick house located in an idyllic community in the Lüneburger Heather´s southern region. This two apartment, family house offers two completely separated accommodations with separate entrances. The apartments are large, light-flooded and peaceful. The house is only occupied by vacation guests. With both apartments combined you could lodge up to 10 guests in 10 beds. There would be three bathrooms at your disposal. The apartments have been recently renovated and completely outfitted with everything you may need. The neighborhood is very friendly and helpful. Free bike parking, if required in a secure building. Schwalbe Apartment - This is how I want to live: Come in and feel at home!